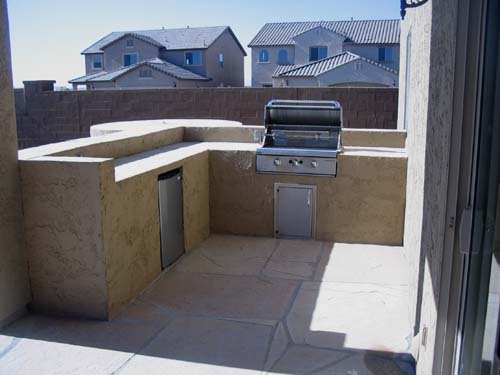 An outdoor entertainment area would not be complete without a Built in BBQ. 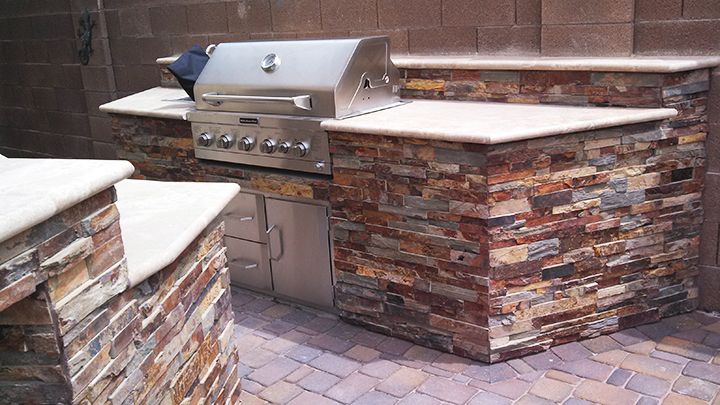 Outdoor kitchens are growing in popularity and are a great way to bring the indoors out. 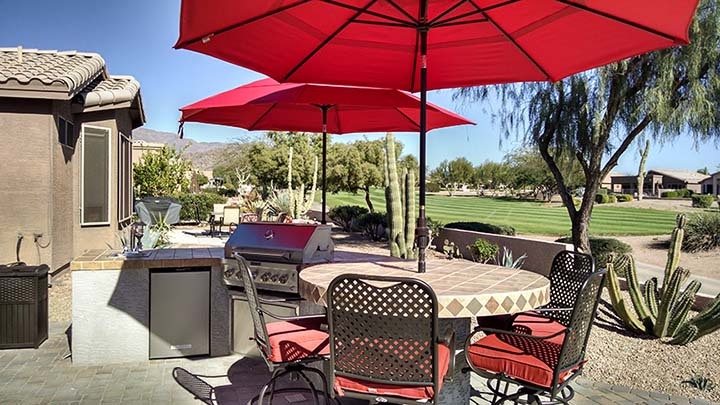 There is no better place than Arizona for outdoor entertaining. 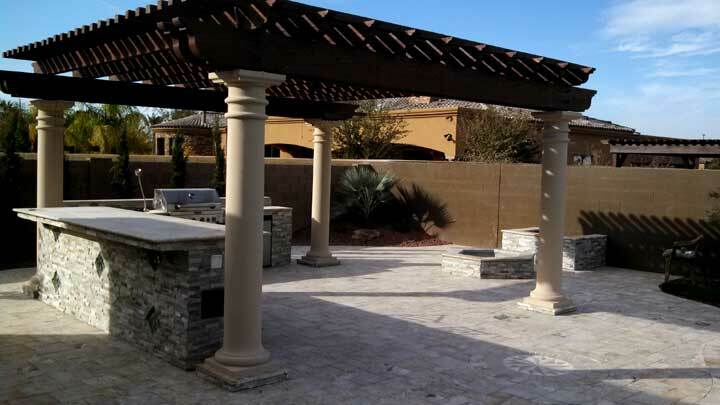 Your built-in BBQ area can be something as simple as a patio, BBQ and seating area or we can custom design and build it as a true extension of your home with a built in BBQ pergola. 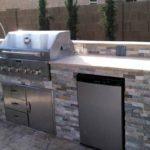 We can build your BBQ area to fit your roll in grill or customize it with a stainless steel drop in grill, fridge, sink, prep area, bar, and pergola. 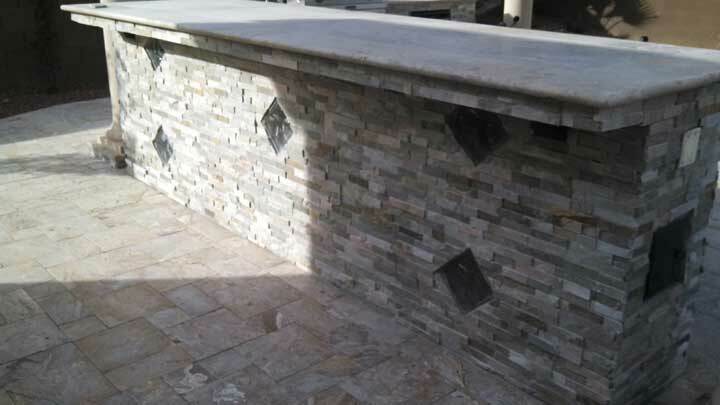 Add some lighting, travertine countertops, cultured stone, travertine paver tiles, and a firepit or fireplace and you have a beautiful and functional place for your friends and family. 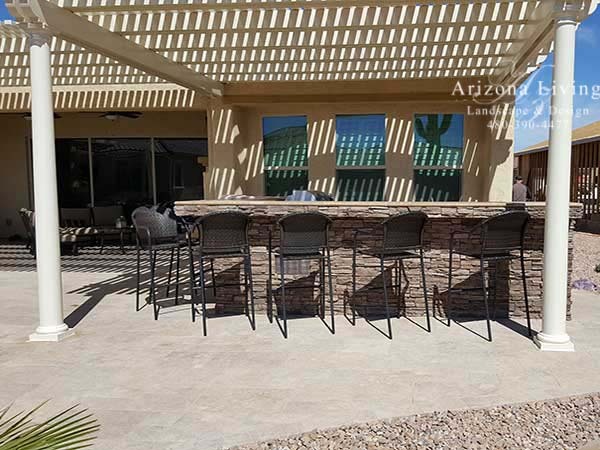 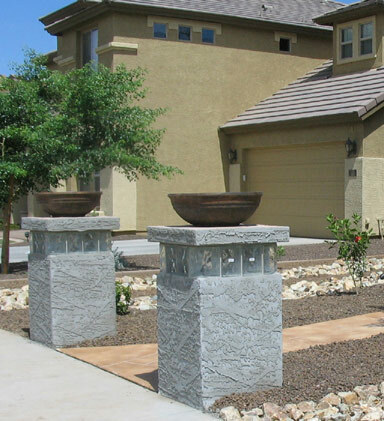 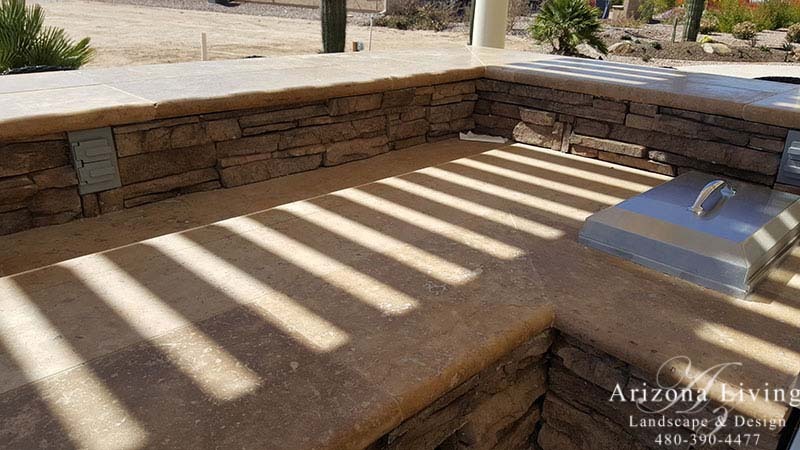 Below are some samples of built in BBQs, block seat walls, block wall, patio fireplaces, BBQ, Gazebo, pergola, masonry BBQ and custom outdoor entertainment areas created by Arizona Living Landscaping Arizona. 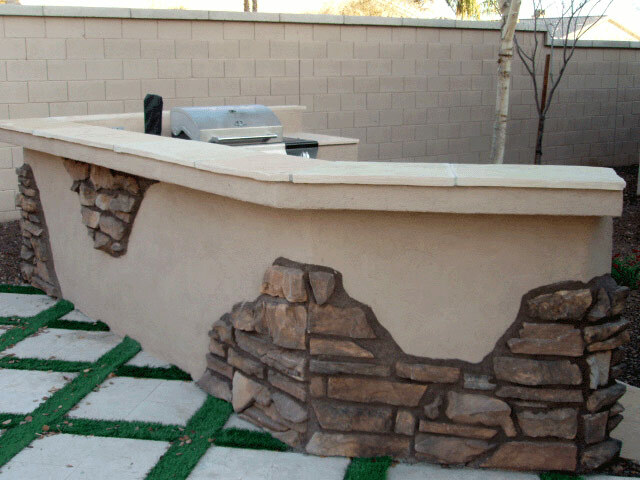 If you can dream it, we can build it. 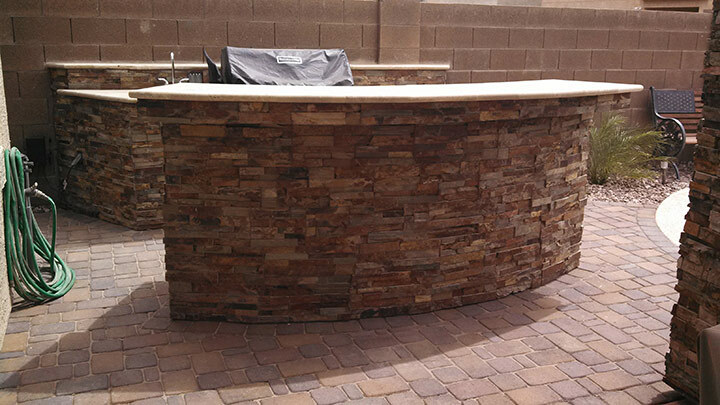 Call us for a FREE custom design quote. 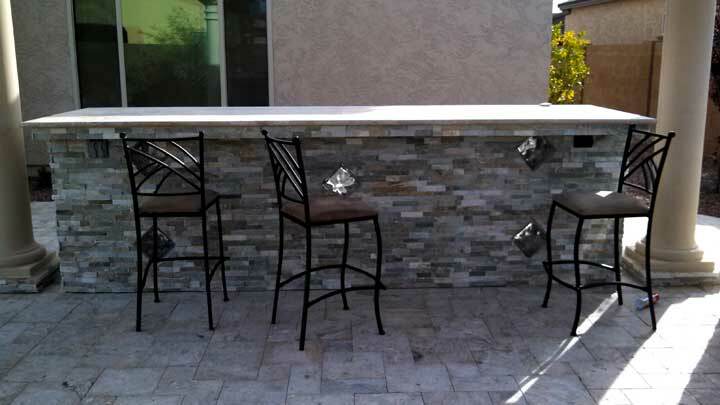 Built in BBQ Entertainment area with cultured stone and glass block, travertine top, travertine patio, and pergola. 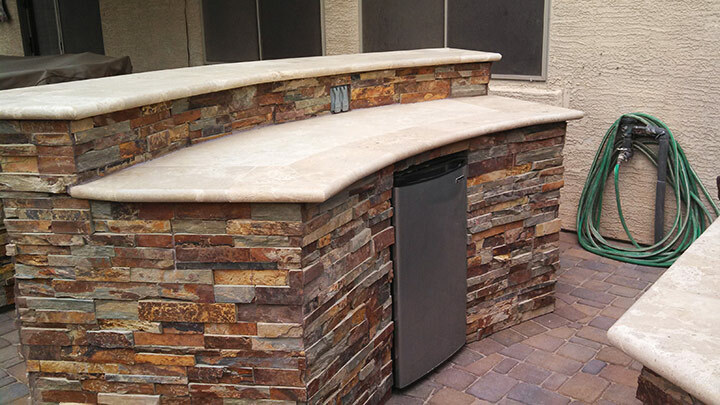 Built-in BBQ with stainless fridge, drawers, and garbage can wrapped in cultured stone and travertine top in Gilbert, AZ. 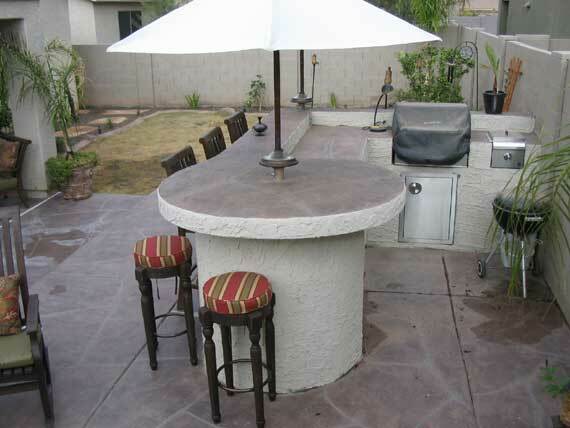 Built in Barbecues with Bar for serving and seating in San Tan Valley, AZ. 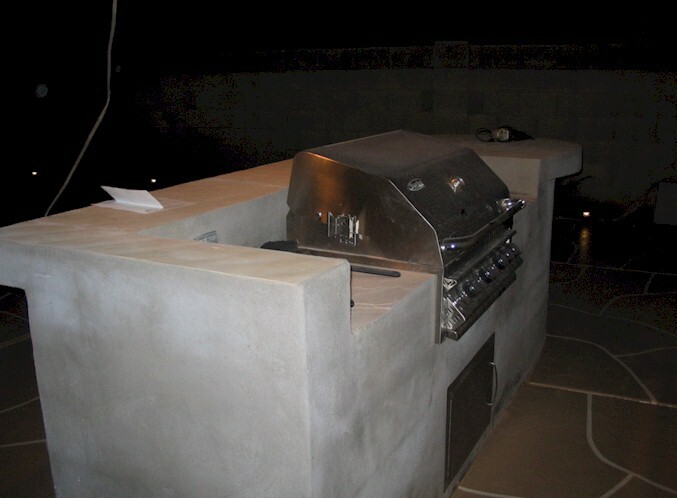 Built-in BBQ custom built to fit existing BBQ as a roll in with entertainment/serving bar and circle end. 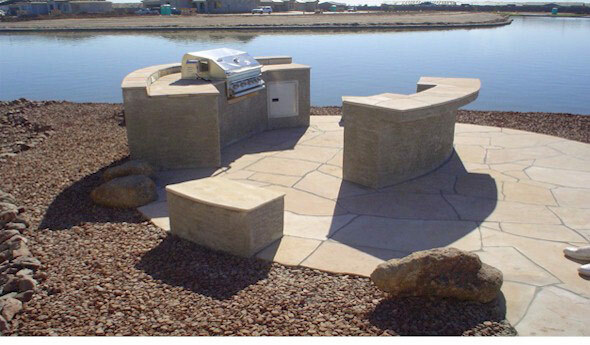 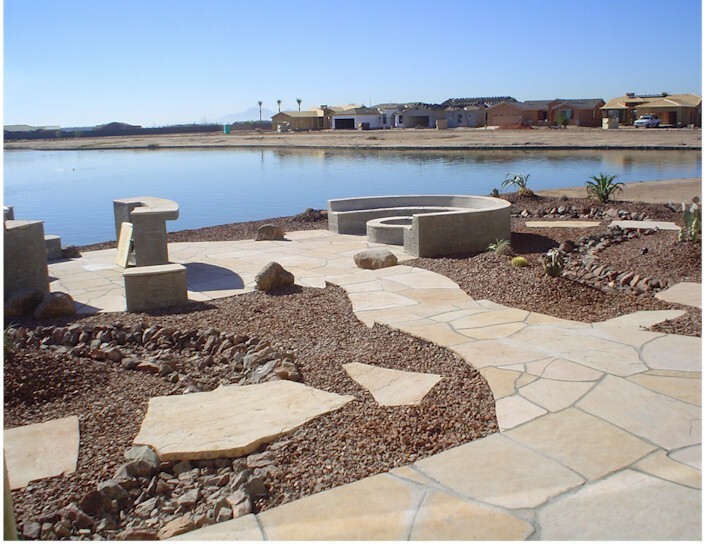 Outdoor Entertainment Area with Built-in BBQ and Fridge with cultured stone random design in Queen Creek, AZ. 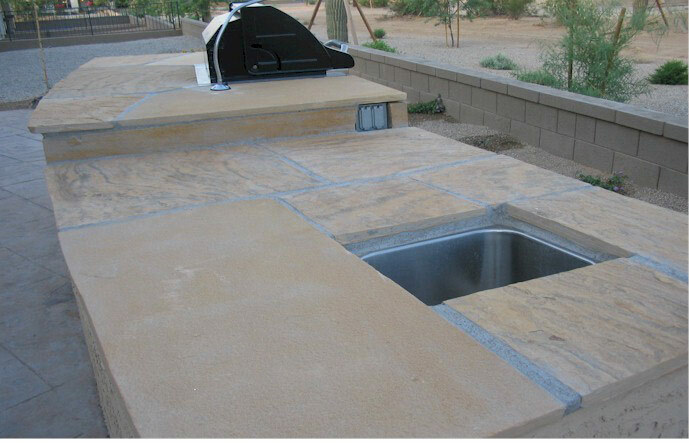 Built in Barbecue with Cultured Stone in Queen Creek, AZ. 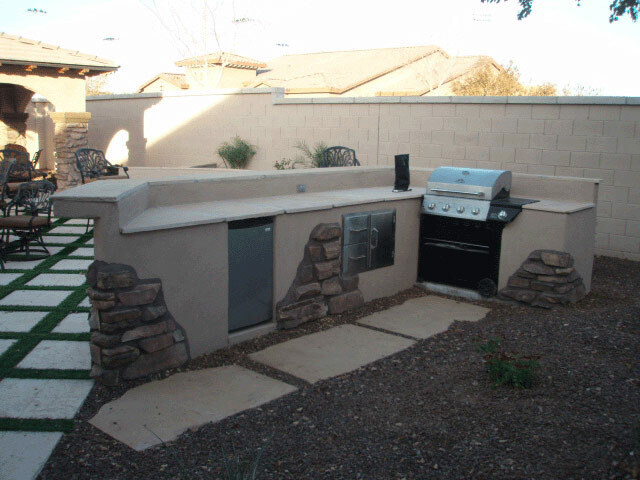 Outdoor entertainment area with Built-in BBQ with a flagstone cap, bar height shelf with fridge in Queen Creek, AZ. 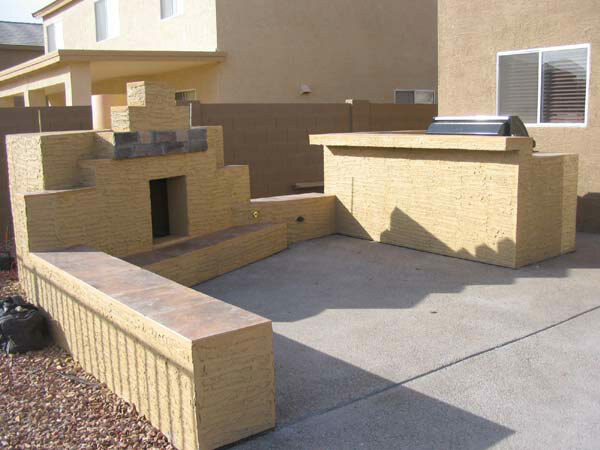 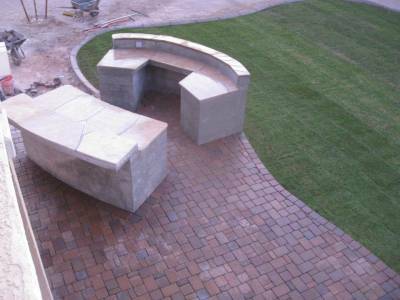 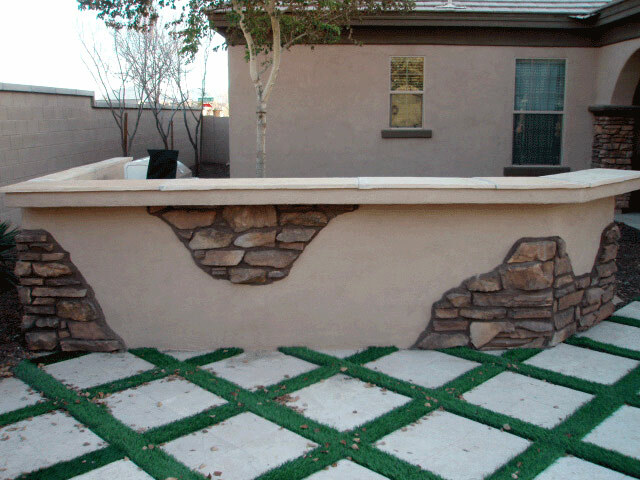 Outdoor Fireplace with seating and acrylic overlay patio in San Tan Valley, AZ (unpainted). 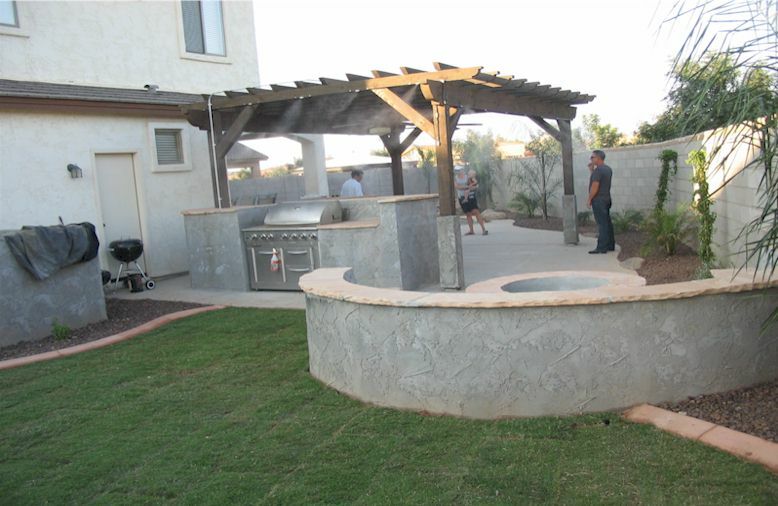 Custom Built-in BBQ, outside Fire pit, and BBQ Gazebo with Misting System in Gilbert, AZ. 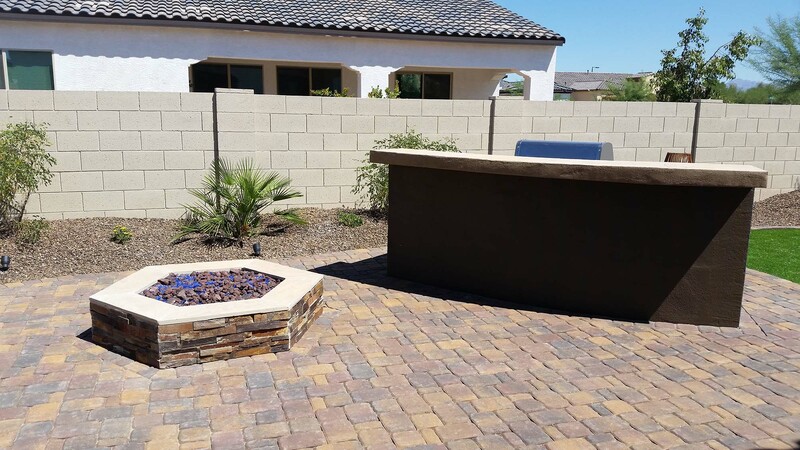 Custom Built-in Barbecue & outside Gas Fire Pit in Anthem Merrill Ranch Florence, AZ. 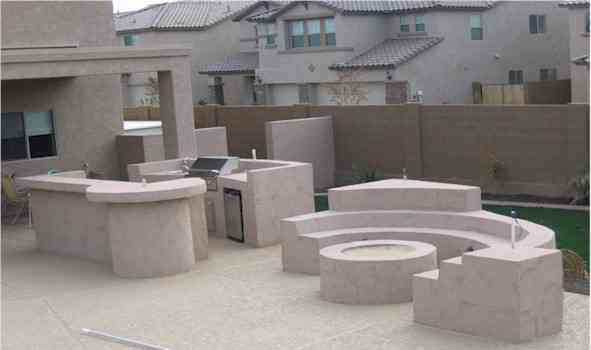 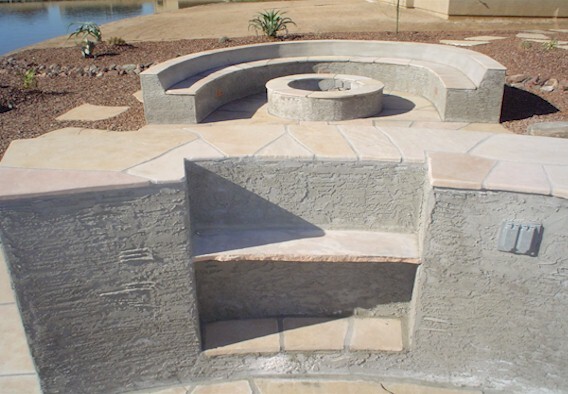 Built-in BBQ, Outside Fire Pit, with Flagstone Patioin Anthem Merrill Ranch Florence, AZ. 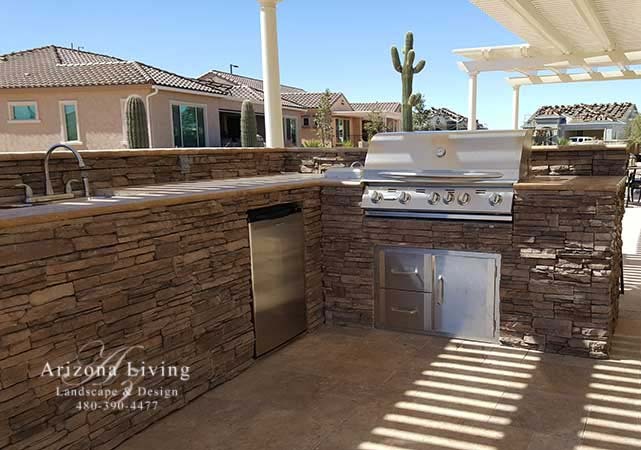 Built-in Barbecue, & counter with Flagstone Patio in Gilbert, AZ. 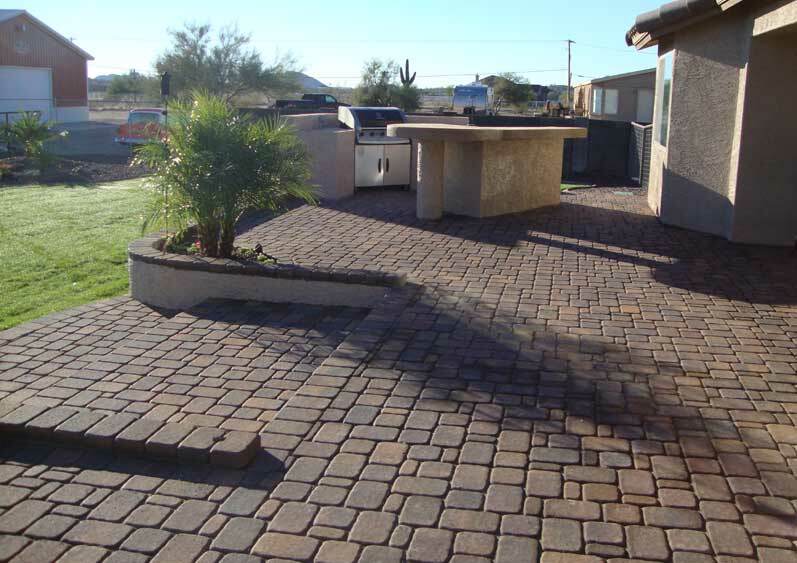 Flagstone Patio in Gilbert, AZ. 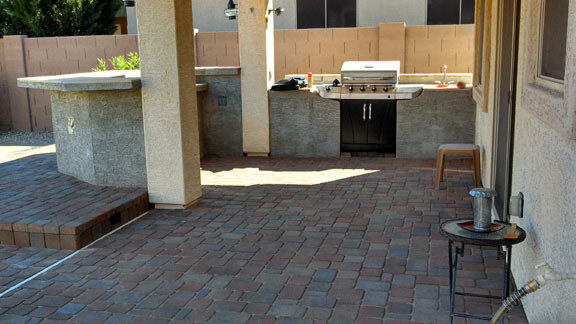 Built-in BBQ with Stamped Concrete Patio in Seville in San Tan Valley, AZ. 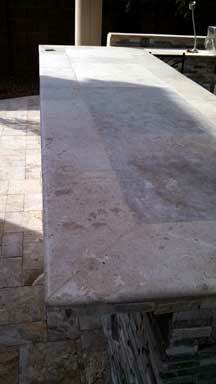 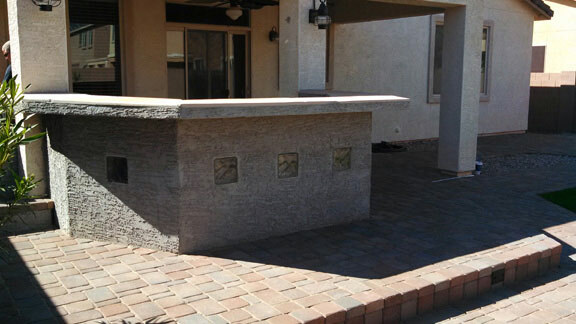 Flagstone Counter with a built-in Barbecue in Seville in San Tan Valley, AZ. 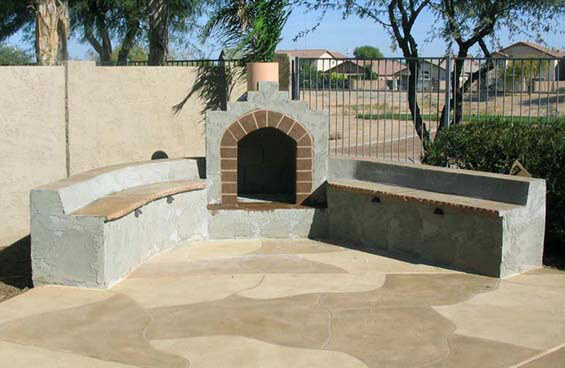 Built-in Fireplace and BBQ in Rancho Bella Vista in San Tan Valley, AZ. 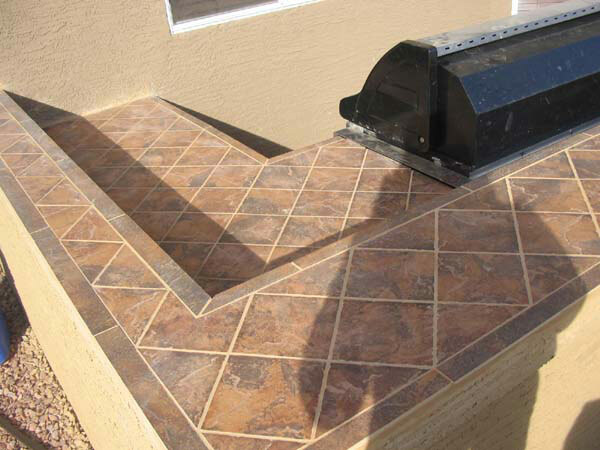 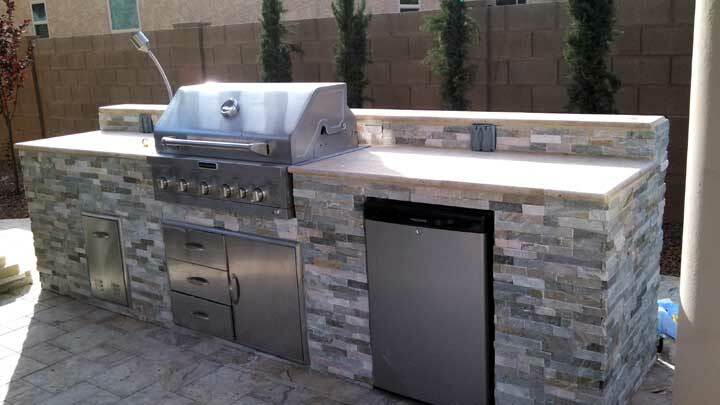 BBQ with Tile Counter in Rancho Bella Vista San Tan Valley, AZ. 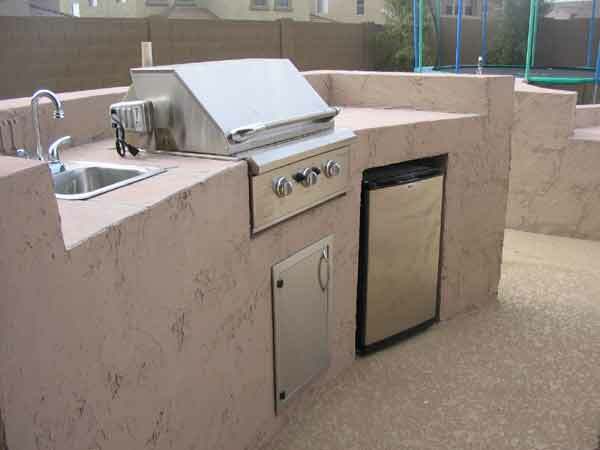 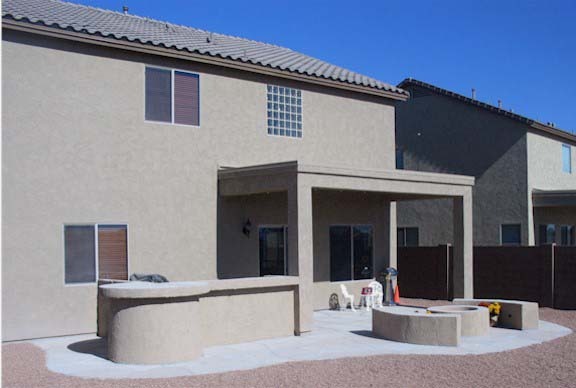 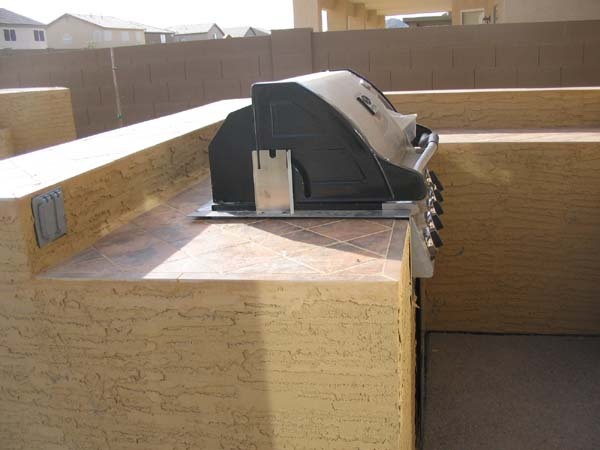 Built in Barbecue with fridge with flagstone cap, sides are stucco to match house in Anthem Merrill Ranch Florence, AZ. 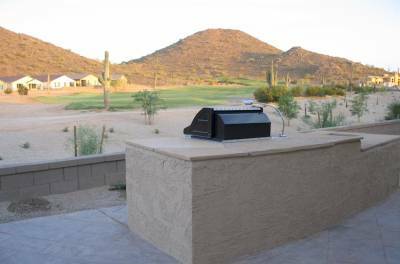 Built-in BBQ with acrylic overlay top in Johnson Ranch in San Tan Valley, AZ.